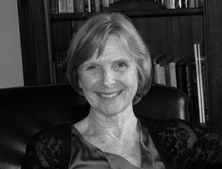 Kathryn Forbes-Fisher received her degree in clinical social work from Smith College. She has been working in the field of mental health for 30 years. She has experience in individual and group treatment of pre-adolescents, adolescents and adults, and has worked as a therapist in both public and private setting. In addition to her clinical experience, she has taught and supervised clinical interns, provided consultations to a variety of public and private agencies and lectured widely on topics such as adolescent development, depression, suicide and eating disorders. She has a special interest in women’s issues and helping families cope with divorce.